However, by following some practical investing and money-saving tips, you will find yourself with enough money to start buying real estate. Investing in mutual funds is a safe and efficient alternative to buying individual stocks or earning interest from a checking or savings account. By investing in a moderate-risk mutual fund, you could average a 5-10 percent return instead of the 1 percent or less that most banks offer on their accounts. Although stocks can produce excellent returns win you pick winners, it is not an easy proposition trying to find those winners. Finding individual stocks on your own that consistently average 5-10 percent annually is the equivalent of finding a needle in a haystack. Stick with moderate-risk mutual funds managed by professional portfolio managers. You should decide on a savings rate each month and stick to it, such as 10 or 20 percent of your disposable income. If you need to start small, it is wise to start saving 7-10 percent of your income each month. Some personal finance experts suggest that you multiply the savings rate offered by your bank and multiply the number by your disposable income, or take home pay. Spreadsheets are an easy tool you can use to build a personal budget. Use the spreadsheet to track your gross income each month and subtract your taxes and other deductions from your total pay. The figure gives you your net income, and you subtract your expenses from that figure, such as rent, utilities, food bill, car insurance and credit card bills. The money remaining after all your deductions is your disposable income. Determine how much of your disposable income goes toward entertainment, travel, leisure, gas and other items that cost you money. In a very short time, you will see how much of your money goes out versus how much you take in, and the spreadsheet will give you a snapshot of where you need to adjust your spending habits and improve your spending power. Another quick tip is to find out exactly how much you are paying in interest on your credit cards or other revolving accounts. Check every single bill, and ask yourself if you can find lower interest rates by using balance transfers on consolidating your debts into one loan and one payment. Debt consolidation is a handy tool that can increase your monthly disposable income. 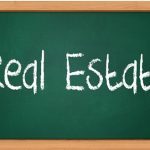 This entry was posted in Real Estate Investing and tagged Buying Properties, buying real estate, invest in real estate, real estate investing, Real Estate Investment, saving money. Bookmark the permalink.